My Little Patch of Sunshine: Disney on Ice in Phoenix -- Rockin' Ever After! 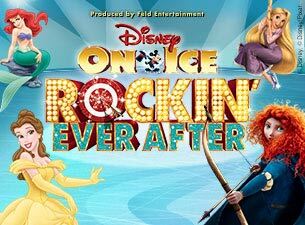 Disney on Ice in Phoenix -- Rockin' Ever After! Disney on Ice is back in Phoenix with another much-anticipated show! From January 8 - 12, 2014, you can catch Rockin' Ever After at the USAirways Center in downtown Phoenix! My family raves about these shows, and Lydia can't wait to see the debut of an ice-skating Merida from Brave perform (as well as a collection of other Disney princesses.) These shows are truly some of the highlights of our family outings. WHEN will the show be in Phoenix, AZ? Tickets available for purchase online at Ticketmaster.com, charge by phone at 800-745-3000 or at the US Airways Box Office. Yes! I have a discount code to share with my readers! The promo code MERIDA will save readers $4 off the $20 and $25 tickets. Watch for our review after the show! Monster Jam comes to Phoenix January 25, 2014!